In a timely exhibition of photography and video installations, two women artists explore identity and racial tensions in twenty-first century London. 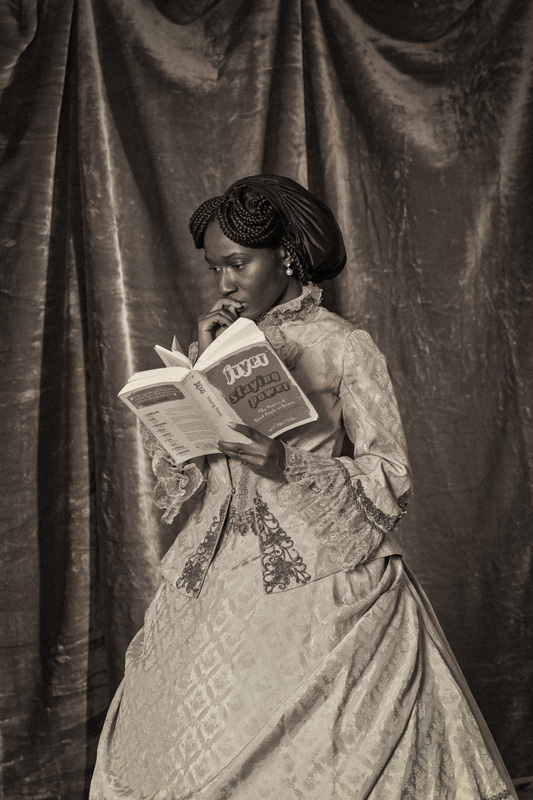 In a project originally commissioned by Autograph ABP for The Missing Chapter series, Heather Agyepong takes inspiration from the nineteenth century Carte de Visite of Lady Sarah Forbes Bonetta. The story of Lady Forbes Bonetta is a remarkable one – brought to England as a child, this young black African girl was given as a “gift” to Queen Victoria, having been saved from the massacre that killed the rest of her family. Adopted into royal society by Queen Victoria, she grew up with privileges that only a few in Victorian England could have dreamed of. Her albumen print portrait, taken by Camille Silvy in September 1862, is currently on display in the National Portrait Gallery London. Struck by Lady Sarah’s genteel pose in this portrait, Heather Agyepong questions what life must really have been like for this woman, plucked from Africa and immersed into nineteenth century English life. What kind of comments and questions was she subjected to? How did this make her feel? What kind of emotions lay buried beneath the surface of her ladylike pose? 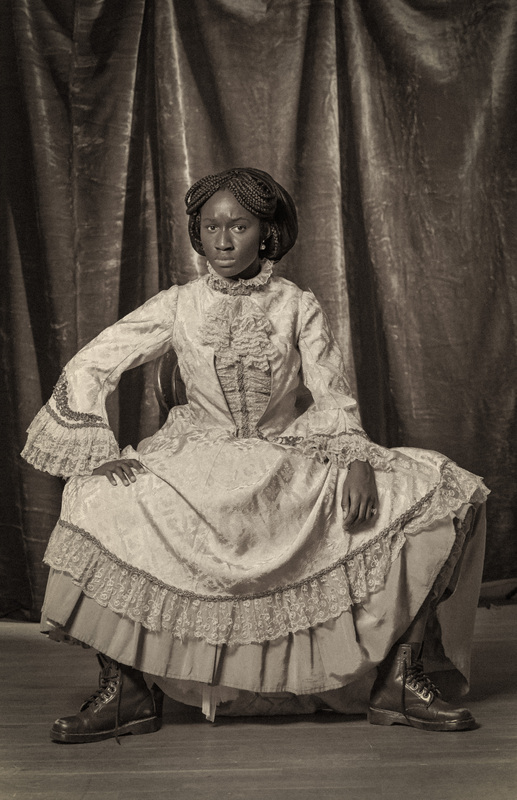 As an act of catharsis, and to express her own deep frustrations with the racism she has experienced personally, Agyepong re-enacts the portraits of Lady Sarah in Too Many Blackamoors. Over 150 years later, in modern day Europe, daily encounters with xenophobic comments and abuse are an unfortunate fact of life for many young black women. Agyepong has decided to use this portrait series to publicly share her innermost feelings, fears and emotions. In each self- portrait she has included an object that signifies a personal encounter with racism, thus merging her own experience with the one that she imagines for Lady Forbes Bonetta. Agyepong shares moments of weakness and vulnerability, as well of moments of strength within this subtle but highly charged body of work. Also taking her personal experience as the starting point for her project, videographer and motion designer Lea Nagano presents Mixedness, a double installation of video portraits and layered projections. Using London as the backdrop, and Londoners as the subject, Nagano explores the concept of being mixed race. 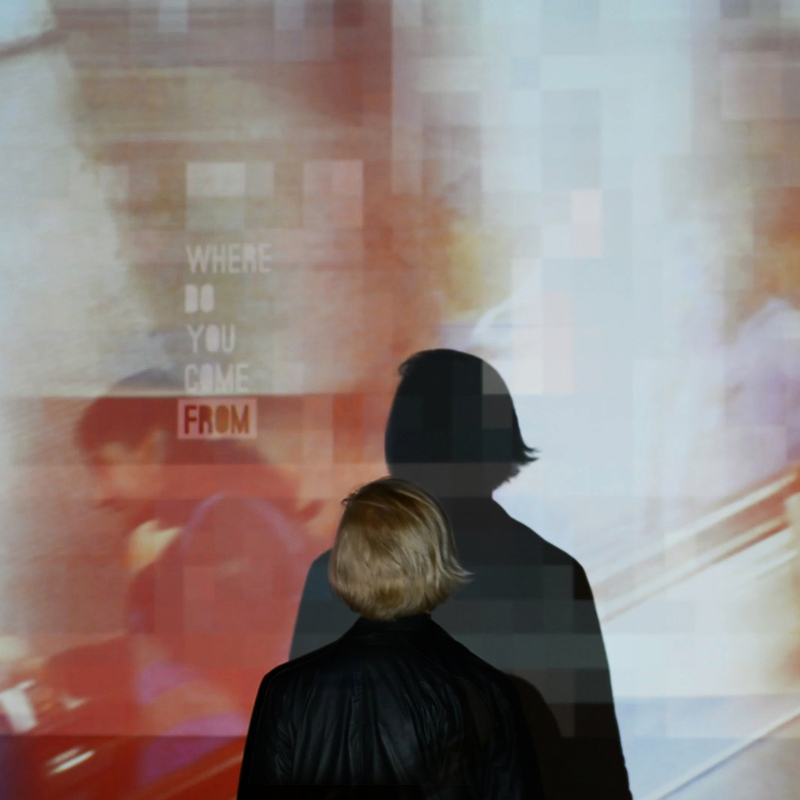 Two layers of urban London cityscapes create the basis of a video projection, which reveals yet more layers when the viewer interacts with the piece. Nagano’s concern is the lack of dialogue on the complex subject of mixed-race identity, where individual experiences can vary dramatically and are often defined by personal appearance. By asking the question, “Aren’t we all mixed anyway?”, and inviting the viewer to become part of the installation, she hopes to encourage deeper engagement and understanding.